Your family is the most important thing in your life. Your spouse, children and grandkids make life worth living. They're with you during the holidays when you create memories that you'll cherish for years. More significantly, you're there for them. You've heard the expression that it's better to give than to receive. You know that firsthand when you provide for your family with your home, your cars, your family vacations and so much more. That's why you have a home security system, too. Or, if you don't have a home security system installed yet, it's the reason you keep thinking about it - you want to keep your family safe. Fortunately, it has never been easier or more convenient to have a home security system delivered to your home that you can install in a few minutes! Our sponsor SimpliSafe has been redefining home security for years. Bonus: Keep reading for 10 questions you must ask when you're evaluating home security systems. SimpliSafe offers a multi-layered, wireless home security system that does a lot more than sound an alarm when an intruder breaks in. It does that with a super-loud siren, but it goes deeper with SimpliCam, a panic button, motion sensors and more. 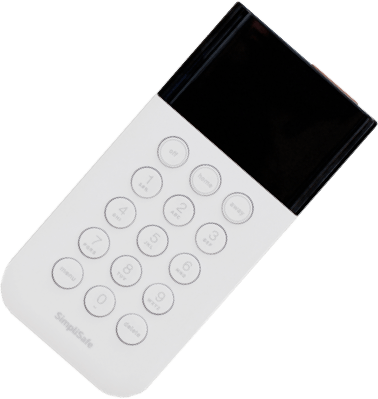 Yet, as powerful as SimpliSafe is, it's sleek and beautiful with a compact design. In fact, SimpliSafe may be best known for the cool, sophisticated look of its base station and sensors. Click here for free shipping and a 60-day money-back guarantee! 1. What's the best home security company? Then check sites like Yelp for consumer reviews. Of course, read articles in reputable publications like The New York Times. Do you know that SimpliSafe is a 5-star-rated Google Trusted Store? See more SimpliSafe reviews here. Here's an easy question? Do you want to have a technician show up to your house, cut holes into your walls and permanently affix wires and equipment throughout your house? Or do you want sleek, beautiful equipment that's powerful and delivered to your front door? That's what SimpliSafe provides with a wide variety of features, including motion sensors and sensors that alert you to frozen pipes, smoke and a lot more. You can use SimpliCam to remotely see what's happening at home and an easy-to-reach panic button for the most vulnerable members of your family. You can tailor your home security system to your needs, whether you live alone in a small apartment or you have a multi-generational family in a big house. SimpliSafe doesn't lock you into a long-term contract like many traditional home security companies do. Plus, there are a variety of packages such as The Foundation starting at $229. Or build a system specifically for you. Bonus: You can test SimpliSafe for 60 days. If you're not satisfied, send it back for a full refund! 4. Is there 24/7 monitoring? Your family needs your protection around the clock. You may leave the house early for work. Your spouse leaves later in the day and your children are home alone for a few hours in the afternoon. You may have an elderly family member who needs protection whenever you're not there. SimpliSafe monitors alarms 24 hours a day. 5. Is there a warranty? It's one thing to have the peace of mind that your family and home are being protected. But does your home security system ensure that your system will work? Our sponsor SimpliSafe has a limited warranty that rivals any other in the industry. According to the company, "the System will be free from defects in materials and workmanship under normal use and service for 3 years." You've gotten stuck in contracts in the past. Old-fashioned home security systems locked you into deals where you paid a huge bill every month for three, long years! Worse, it was nearly impossible to get out of that contract. SimpliSafe has changed all that. You are never locked into a contract with SimpliSafe. Keep the system up and running to protect your family and home when you need it - that's it. It costs only $14.99 each month for a standard plan for SimpliSafe to monitor your home 24 hours a day. You can beef up monitoring to include unlimited camera footage, full mobile app access and more for $24.99. You're not locked into a contract, so just call to cancel anytime. You can cancel through the mobile app or by calling 1.888.957.4675. Bonus: You can test SimpliSafe for 60 days. If you don't like it, send it back for a full refund! 8. What if I'm not home? You can remotely monitor your SimpleSafe home security system and SimpliCam video camera from your smartphone. That's critically important if you work outside the house or travel often. Do you have vulnerable family members who are home alone during the day or evening? Do you want to remotely keep an eye on who's inside your home? You can do all that with SimpliSafe. Maybe the better question is, can you do that with a traditional home security system? 9. Do I need a landline? Do you have a home phone that's connected to the wall? No, if you're like the majority of families. These days, we all have smartphones and we're constantly checking them. You do not need a landline with SimpliSafe. It's a wireless system that has only one electric plug for the base station. You don't need to worry about criminals cutting your phone lines and you don't have to rip out wiring the next time you move. 10. Are you planning to move? SimpliSafe is a powerful system with high-decibel alarms, motion sensors, smoke detectors, a keypad and more. Yet, each component is beautiful and small enough to easily pack up and take to your family's new home. 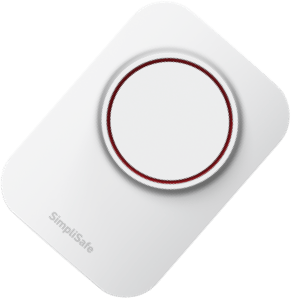 Our sponsor SimpliSafe has revolutionized home security. You're never locked into a long-term contract, for instance. You can monitor your home from just about anywhere in the world. You can also bring it with you when you move. Keep reading for tips to keep your family safe in your new home.